For anyone unfamiliar with the situation on the ground at Punggol East, the results of the by-election is indeed surprising. The popular opinion at the start of the contest was it will be a close one but the PAP candidate is likely to win. Instead of this, we see a 11% swing away from the PAP candidate. A hypothetical 11% swing in the GE 2016 will not only take the PAP votes to below 50%, it is likely to take away its majority in parliament – the PAP will have to seek coalition partner from the opposition to stay in power or be kicked out – I don’t think the leaders in PAP slept well yesterday. While a win by WP was always a possibility, the wide margin was a big surprise for many. I will cite a few of the minor reasons that might have helped to contributed to the margin before I get to the major ones. One commonly cited reason on the mainstream media is this is a by-election so voters are more willing to vote for the opposition. The by-election effect was cleverly used by Chiam See Tong in the 1990s who tried to turn the opposition weakness to strength by returning the PAP to power on nomination day during general elections. If you look at the election results when this strategy was used, it probably account a few extra % of the votes because most people expected the PAP to be returned to power anyway given its dominance. How many people voted for the PAP in 2011 instead of the opposition because they fear it would lose the general elections? If you look at the 1992 by-election held shortly after the 1991 election when PAP lost an unprecedented 4 SMCs, there was a swing of 4% to the opposition – it was also a 4 corner fight but the main opposition party (SDP) running at that time was led by Chee (before his sacking from NUS and hunger strike) was far stronger that the one running during the GE 1991 (JPS) yet we saw only a swing of 4%. Another contributor to the margin was the poor campaign strategy by the PAP. In the early part it appeared to be led by Dr. Koh himself, a complete political amateur who joined the PAP just 3 weeks before the by-election. When he was first introduced, he looked like the cookie-cutter PAP candidate that personally benefited greatly from the system and he expressed his belief that the system was good and no major changes required – exactly the same views expressed by Tin Peh Ling in 2011 GE. 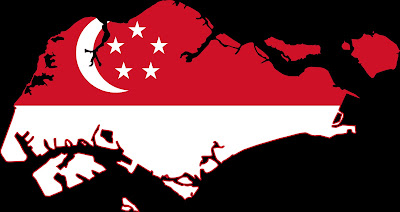 Then he tried to play up his childhood poverty… eating from biscuit tins, bus driver father, living in a kampong – he seemed to forget that Singapore was a 3rd world country at that time and most Singaporeans in their 40s have even sadder stories to tell about their childhood. He was really losing the audience when tried to tell them he had “suffered” poverty…but so did every else. Then he went on to say and do a few things that showed that he was disconnected from the ground. He said that “everyone owns a car” which I take to mean that he thought most professionals drove cars – other interpretations make even less sense. This was true maybe when Dr. Koh was in JC or serving his NS but he seemed to be unaware that at today’s prices most professionals don’t own one and if you are raising a family it is even harder to own a car when you sometimes really need it. He then went on to do an unconvincing publicity stunt of pulling leaves from a drain. It is not possible to believe anyone would do something like this spontaneously so it was clear he was doing to get publicity and to artificially project a ”do gooder” image. To voters, something like this is insincere and called to question whether all his earlier “hard life” stories were just cherry-picked to win sympathy. At some point, the PAP leadership realised things were not right and stepped in shore up the campaign but it was too late. The WP ran an efficient, effective and highly coordinated campaign relative to other parties selecting a candidate the voters were familiar with rather than someone with high qualifications. While the mainstream media was as usual biased towards the PAP, the WP had one resource that was invaluable during the election – volunteers, Singaporeans young and old willing to give their time to the campaign, there are very few things more powerful than large number of people passionately championing their cause. The difference in quality of campaigning definitely contributed to the large margin but you cannot have a campaign as successful WP’s without a strong wind blowing behind you. The massive crowds coming to the rallies and willingness of people to volunteer for the campaign is driven by underlying factors that also drove swing voters to vote for the opposition. The discontent rose because almost every single thing that affected the quality of in Singapore has gotten worse in the 1.5 years since the last election. Housing prices were at a new high when the by-election was called so was the COE. The foreign influx continued and the population increased by 230,000 in 2012 – 8 times the increase in Singaporeans. This is after the govt promised to “moderate” the flow after GE2011 election. Can you imagine what would happen if they were not given a clear signal then? With the population increase, the density of population goes up and the problems expand and multiply to become less solvable. Yet the PAP spent a large part of the period after the ministerial pay review and some manpower policy tweaks which it said addressed the discontentment seen in GE 2011, to try to convince Singaporeans that a higher foreign population influx is needed as if all the problems associated with the earlier influx has been solved. We know the PAP is doing this because a higher influx helps to satisfy the thirst of GLCs and corporations for cheap labor allowing them to generate higher profits. In the short run, it helps the economy to grow but Singaporeans now know the long term consequences of this policy – higher income gap, high living density which will erode the quality of life and escalate the cost of living. - PM Lee, during PAP’s election rally. Singaporeans today find it hard to believe that the PAP puts the interests of the people first ahead of everything else. The PAP is now linked in inextricable ways to a network of GLCs and runs an elitist system that sees benefits of the system concentrated in a smaller number of elites that the PAP depend on in its power structure. In Singapore, we have the highest paid ministers in the world and the lowest paid bus drivers, cleaner and kindergarten teachers in the developed world – a 3rd world wage structure. This income gap, the highest in the developed world, reflect not the difference in ability of human beings but the unequal distribution of power in our society. Last year we again saw no improvement to the income gap. Dr. Koh Poh Boon who works in Mount Elizabeth is probably one of the highest paid specialist in his area among Asian counter-parts because he is a beneficiary of govt policies that encourages medical tourism for the rich in the region. This policy has caused a reduction in capacity of our public healthcare system because men like Dr. Koh will move to private hospitals to earn more money from rich medical tourists. This drives up the cost of medical care for Singaporeans who now shoulder the highest % of medical care expenditure out of their own pockets. This cost spiral has not stopped – Dr. Koh praises the system that benefited him forgetting the price ordinary Singaporeans have to pay. Today we see more Singaporeans rejecting the system because they find it hard to accept the outcomes, The Punggol East election is the latest sign that all is not well and the system is heading for trouble. These problems have grown and become harder to solve because the PAP made the wrong policy choices and went along the way direction for too long causing the problems to become entrenched. When the influx of foreign workers was identified as a cause of wage depression at the lower end more than a decade ago, the PAP was unconcerned and went on to import even more foreign workers until almost all industries became dependent on the continuously expanding influx neglecting investment on productivity and innovation. Now even small tweaks to moderate the influx are strongly resisted by industries – the problem has become harder to fix. The PAP has perhaps maneuvered itself into a position where the deepening problems require stronger action to turn things around but it is ideological lens shrinks the problems we know are severe and restrains it from taking more action. Even when a very clear, strong signal is delivered, the PAP goes quickly into denial. “Defence Minister Ng Eng Hen said yesterday by-elections are prone to big swings and the results of Saturday’s Punggol East race will not affect how the People’s Action Party handles national issues“ – The New Paper 29 Jan 2013. At this point, it is becoming dangerous for the PAP not to listen to the people. With the current set of policies, things can only get worse going into GE 2016. The people may not send another strong warning signal in 2016 but instead deliver a strong deadly blow that will shatter the PAP’s power structure as it no longer benefits the ordinary Singaporeans. * Lucky Tan is an avid online blogger since 2005. He likes to study the thoughts of Singapore leaders and the laws of Singapore.